At first there was a sound. Have you ever sat down and thought about how improbable it is for you to be here? I’m not just writing about the experiences you have had or your mother and father getting together and 40 million sperm fighting it out for your existence. I am writing about the billions of actions and occurrences that had to happen for you to be at this moment in front of a computer reading this blog. Get ready for a rampage of appreciation, abbreviated Discovery Channel science style! At first there was nothing except for a mound of matter in the middle of nothing. It was there floating at an amazing pressure and heat. No one has a clue why this ball of matter that is no bigger than a pea suddenly exploded spewing matter into the universe. This matter collected together in huge mass of gas. One of the new mysterious forces that exists is called gravity. All the simple gases that formed in the explosion are coming together. Huge balls of gases start a reaction of fission and fusion and become stars. These stars fuse hydrogen into helium. Then they start fusing helium into denser elements and then those denser elements fuse into even denser elements. After thousands and thousands of years creating all of the elements we find in our periodic table, these stars explode sending pieces all throughout the universe. This happens over and over again for about 10 billion years before something miraculous happens at the edge of the Milky Way Galaxy. 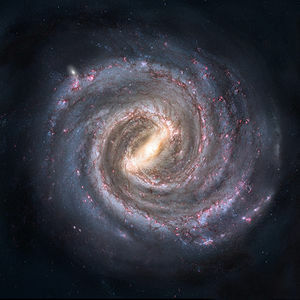 On the edge of this spiral galaxy that we have named the Milky Way, the remnants of these explosions start collecting to form what we have named the solar system. A huge amount of gas creates the guardian of Earth, Jupiter. I call Jupiter the guardian of earth because its massive gravity has, in theory, shielded Earth from many impacts. Jupiter may be a reason why Earth has so much water as the gravity of Jupiter may have caused some water worlds to collide with rocky worlds. It could be why we have the moon. At the perfect distance for our way of life, a planet forms. After billions of years with nothing on it, something amazing happens. Life forms and soon creates simple cells. The cells figured out that if they worked together can live better and longer lives. These cells also discover that if they specialize they will be able to create complex creatures. Life on this planet has such a desire to live that it has survived at least five mass extinctions, from the entire earth being covered in ice to super volcanoes and meteor strikes. As these cells create more and more complexity, they start creating wonderful things like vision, hearing, feeling, teeth, digestion, and the most amazing thing of all, thought. There are really too many amazing things that have been created to mention. I haven’t even touched on consciousness. I could fill this entire blog for the rest of my life writing about the wondrous things that have been created in this universe.. Think about it. All these events had to happen for you to sit here. Then there is the outstanding evolution of man. We were able to discover speech, language, writing, agriculture, philosophy, computers and all of the wonderful things that needed to happen for me to be able to sit at my computer, type away on Open Office, and write a blog for you to be able to read from the comfort of your own home. Think about it. It took 14.5 billion years for the universe to create the right conditions for you to be here right now. The universe is so big that it is very hard to imagine the enormity of it. In this gigantic universe there is only one you. There is only one you who has the gifts that you have. There is only one you who lives this life and it took stars to explode for you to be here. You are stardust. There are atoms that are in your body that were in every person in history that you admire. That means there is a piece of Plato, Newton, Einstein, Lincoln, Billy Mays and Michael Jackson floating inside you as you breathe in and out. What excuses do you have to not give your gift into this world? It took 14.5 billion years to create the correct conditions for you to live right now. It took a nearly infinite amount of actions and events for you to be sitting here right now. If any of those actions were different, if any of the laws of the universe change or if the earth was just a little farther away from the sun, you wouldn’t be here right now. Ask yourself, are you taking advantage of this amazing gift? Are you living your life in a way that if it took 14. 5 billion years to make you, you would be proud of what you are doing right now? Do you feel the call to live your life to the fullest? Think of how much the universe had to do for you to be here right now. How many stars had to do explode for you to live? Kermit the Frog even sung about giving your gift in the Rainbow Connection. Have you been half asleep, and have you heard voices? You have heard them call your name. The Universe sings the sweet sounds that called the young sailors. They are all one and the same. You have heard it too many times to ignore it. There is something that you are supposed to be. This is your time. Right now! Thank the universe for creating the wonderful lives we live by giving your gift to the world. Live your purpose. Live with joy. Live with powerful intentions. This is your time to shine! Namaste, the Universe loves you. Every day events happen in your life. Many little actions occur that either cause some stress or are mundane. Using these little ordinary events as practices helps you continue your ability to live a life of Joyous Expansion. I rarely wear a jacket. 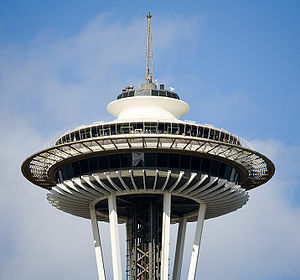 I live in Seattle where the winter months are rainy and not very warm. A lot of people might think I don’t wear a coat because I am a bigger man and my body is generally warm, but that is actually not the case. A few years ago I came to a conclusion that I wanted to live my life at choice. In this life I am completely responsible for how I react to certain situations. An idea occurred to me that being cold was a choice. I went to college in Bellingham, a town about 30 miles south of the Canadian border. It is is kind of cold. Students from both Alaska and Hawaii lived in my dorm and both groups had completely different ideas of what is cold. Alaskans thought cold was around 30 degrees while Hawaiians were cold around 60 degrees. Each group is at choice. There is no reason for 60 degrees to be cold. Not to say there isn’t a degree of cold that is just too cold for the body. I am listening to my body when it tells me that it is freaking cold and that I should wear a jacket. I can honestly say that it has probably happened at 5 times in the last two years. The practice of not wearing a jacket was expanded on that day. Every time I feel a chill or go outside when it is raining, I am reminded of various ways that I practice to live a happier life. I am always at choice: I can be happy and in joy no matter what. I chose if I am comfortable or uncomfortable. I am not my body: A good way to remind myself that I am the observer. This is a nice little Zen meditation. , David Deida compares the feminine to weather. The feminine is a constant energy that flows. He says a superior masculine person is able to stay in presence when the feminine is storming all over the masculine. From something as simple as not wearing a jacket, I am able to have four powerful practices that serve me. Another simple practice is this one on forgiveness. No two drivers have the same idea about good driving. Instead of having a practice of getting angry and going into a rage when another driver drives in a way you do not agree with,have a practice about forgiveness. When a driver cuts you off, lane changes without signaling, stops suddenly, rides their breaks, or drives slow in the fast lane feel the anger. Then take a breath and think they are doing the best they can with what they are working with at this time and forgive them for their action. Depending on your commute, you will be practicing the art of forgiveness up to 20 times a day. Set a reminder: Wear a rubber band or some kind of bracelet and each time you think about over eating, switch the rubber band to another hand. The reminder will give you awareness of what you are doing. You will be taking an unconscious act and turning it into a conscious one. Use something you already have: If you wear a necklace, watch, or a hat, every time you put it on think about how much fun you are going to have today. Every time you notice the fact that you are wearing it think of how much fun you are having. When you take it off at night think about the things that were in your day that were a lot of fun. Use an everyday occurrence: For instance, when stopping at a red light think of something that you enjoyed in your day. Use wait times to your advantage: When stuck in a line look around and do a rampage of appreciation. Look at everything there is in your life and pay gratitude..
Get creative. Think of a simple little practice that you can use to enhance your life. 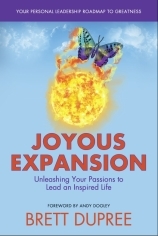 With simple practices used every day you too can live a life of Joyous Expansion. g to Abraham has taught me two important lessons in life. 1) Life is meant to be enjoyed and 2) do not create new reasons to feel bad. 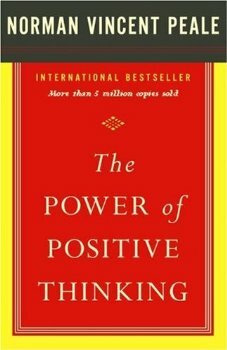 One of the dangers of just positive thinking is that there is a chance of using positive thinking as a reason to feel bad. An example of this could be practicing positive thinking for a few weeks and not noticing any changes. If immediate results aren’t seen then having the thought that positive thinking is horse pucky or cannot help. People can also get upset with themselves every time they have a negative thought. This totally negates the whole point of positive thinking. If you think of a positive thought as matter and negative thoughts as anti-matter then positive thinking works by the person having the negative thought and then they use the positive thought to cause a matter anti-matter explosion. This sends the positive energy throughout the body and totally destroys the negative thought. What people do instead is think the negative thought, then think negatively about the negative thought and then think the positive thought. Some of the negativity still remains and they wonder why it isn’t working for them. They also like thinking more negative thoughts about that as well. Another way people in self help LOVE to make them feel bad is with the ego. Look out for the Joyous Expansions take on the ego here soon. When you are tense you create a wall that does not let in goodness. It is like you are the starship Saddy and your forward shields are deflecting the smile rays being shot by the Happylons. Yes I realize that was super corny. Seeing the humor in what you are doing is a great way to create space to let in the goodness of life. Either see the joy of what you are doing or the results you are going to accomplish. You can also fake it a little. Smiling has a lot of positive effects. Laughing is also a great way to help with your personal development. Looking at yourself and thinking about why you are on this journey is extremely important. Are you on this planet to enjoy yourself, live the best life you can, and be excellent example ? Or are you going to be someone who uses personal development as a reason to feel bad, look for new reasons to feel bad? 1.Laugh and smile about it. The more you laugh the more you will learn to love yourself. 2.Relax. Taking deep belly breaths are good ways to relax when things feel like they are just not working out for you. 3.Look at where you are going. Looking at the end point is a good way of keeping you on track. Especially if you are not where you want to be at a given point. 4.Let it go. There might be days when you do not feel as good as you would like or that a problem that you thought you were over pops back up. If you are on a journey of self-development then you have picked up some tools to help you on days like this.. Being upset about a bad day would just exacerbate the problem. 5.Remember why you are doing it. Never forget the values and the reasons why. Joy is a fun way to live. Being happy feels so good. It will make the quality of your life better. Want to kick your personal development up a notch? Want to make sure you stay on track and keep working on living full of joy? Leave the session renewed, re-energized and inspired to living a life full of joy! Act today to live the life you want to live!